I like the mix of colors. Great pic! I cannot condone the very short tie but I love the rest of the outfit! the tie is not a general style, but it works to me :D love it ! love how you captured the bright pants so perfectly and ESPECIALLY that perfect lining inside the jacket. I love the style of this man. So great. the shades are moscot, all the rest is bespoke, except the tie (vintage, of course!) and the shirt...Thomas Pink? 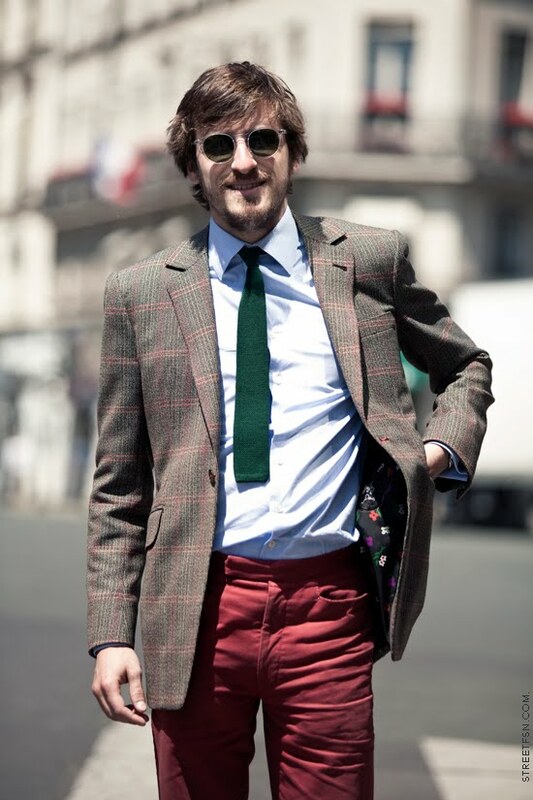 Anyway, an impeccable look--quintessentially Parisian. Too bad you missed his shoes! if you wanna see his shoes, just e-mail me.